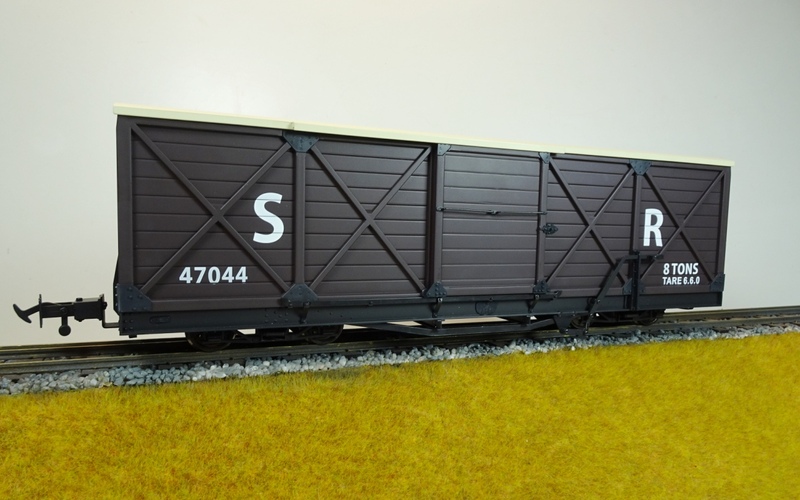 These bogie vans were ordered by the Southern Railway to strengthen the fleet it acquired with the Lynton & Barnstaple Railway. The four vans were built by J & F Howard of Bedford in 1927 and featured sliding doors and ‘X’ barcing, the latter changed to diagonal bracing in 1934, just a year before they were withdrawn and scrapped! In 2002 the Lynton & Barnstaple Railway Trust acquired the last remains of one so there is still the slim chance that one may yet be resurrected. 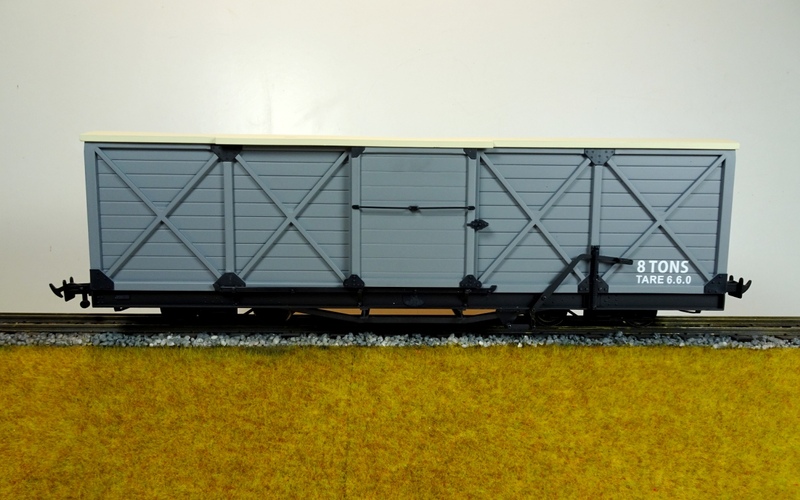 Since the vans only ever carried Southern livery we will be offering them in SR brown and L&B grey (data only). The UK RRP will be £100.00 each. 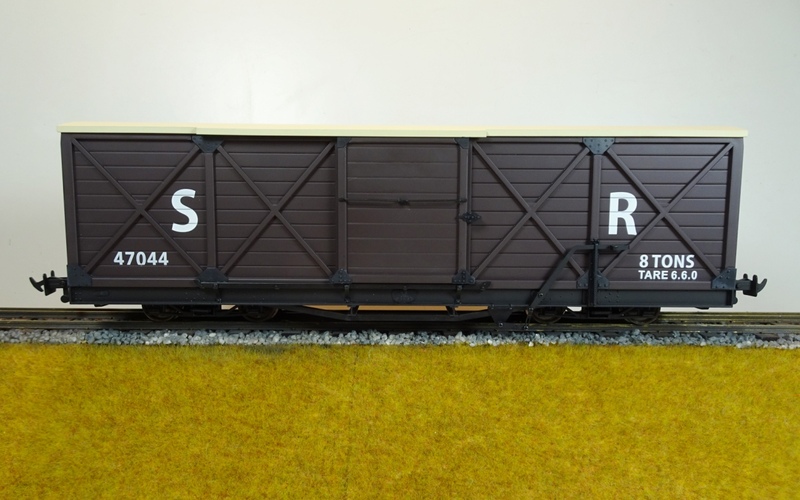 We feel that they will make a great generic van, of a type seen all round the world on 2’ gauge networks and are sure they will be very popular in consequence. 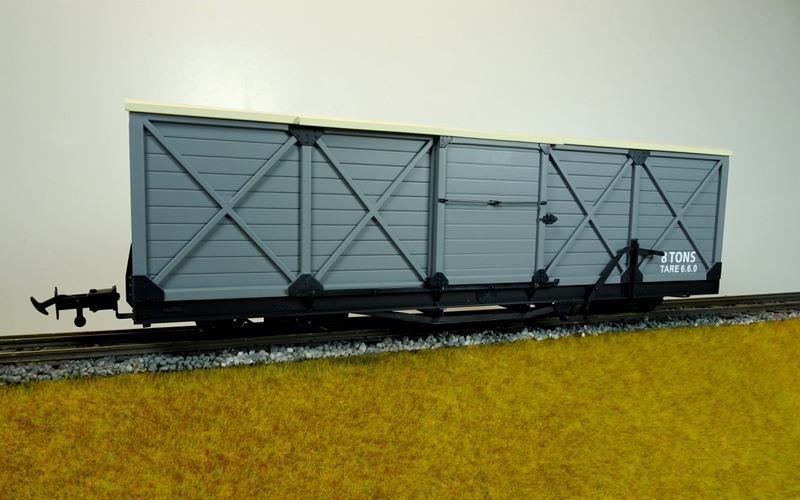 These vans are manufactured from plastic with die cast bogies and have an additional 32mm wheel set supplied so the customer can change gauges.